How to composite an image in GIMP from multiple shots. 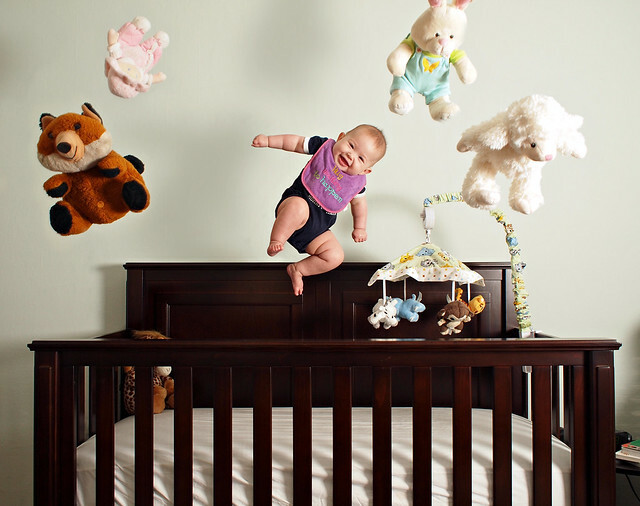 This example uses a baby, and is composited to look like she is literally bouncing out of her crib! Using multiple shots of different elements, they can all be combined to form an interesting final composite image. In this tutorial, I take multiple shots of a baby and composite her together with her toys to give the illusion that she is literally bouncing right out of her crib!